The depths of incestuous corruption within the hijacked crime syndicate that used to be our federal government is extensive. 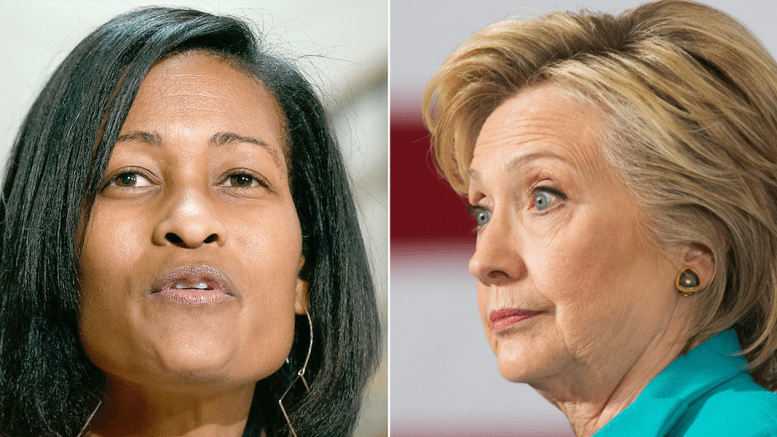 Revelations regarding the DOJ’s treatment of Clinton email and Clinton Foundation co-conspirators and perpetrators Cheryl Mills and Heather Samuelson offer a new glimpse into the brazen dishonesty and cronyism that is standard operating procedure within the Democrat Obama regime. 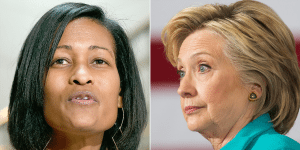 According to information contained in a letter from House Judiciary Committee Chairman Bob Goodlatte (R-VA), the FBI agreed to destroy laptops belonging to two of the Clinton aides, each implicated in the selling of government secrets ring that was being run by the Clintons on her illegal server. There was what might have been argued to have been an “arbitrary” date of January 31st 2015 established as a cutoff point. Of course, it might not seem so arbitrary to those who know the dates of certain illegal activities. No documents created after that the first month of 2015 could be reviewed or part of an investigation under the terms of the agreement. Additionally, to make certain that they would be forever protected from their recovery and use in a criminal prosecution, the FBI agreed at the same time, while granting Mills and Samuelsson immunity, to destroy the evidence for them, once they were through pretending to be reviewing it. It’s part of what are being labeled a “side agreement,” as in “we’re on your side, we’ll protect you, Crooked Hillary.” Of course the DOJ could have merely subpoenaed the laptops and had access to all of the information with no reciprocal commitments necessary, no granting of immunity and no subsequent destruction of evidence. But that would have defeated the whole purpose of their little charade, and created more of a vulnerability problem. The point was to protect Clinton and the Obama regime. That’s the job Loretta Lynch and Jim Comey’s teamed up to do. Had DOJ not destroyed the laptops and merely subpoenaed them, no hammer would have likely found its way to their hard drives. They could have remained in FBI custody indefinitely, always potentially exposing Clinton lies, misdeeds or obstruction of justice. They would have been a threat hanging over their heads in perpetuity. Now they can rest easy knowing that the FBI lackeys have destroyed the evidence for them. Goodlatte also asked “Have these laptops, or the contents of these laptops, in fact been destroyed, thereby making follow-up investigations by the FBI, or Congressional oversight, impossible?” He inquired, “Why was this time limit necessary when both Ms. Mills and Ms. Samuelson were granted immunity for any potential destruction of evidence charges? In what is a final road apple piled high atop the cronyism cake, the deal for the non-investigation side agreements for Mills and Samuelson was negotiated by Beth Wilkinson. She is a D.C. lawyer who just happens to be the wife of former “Meet The Press” host, Clinton donor, Democrat shill and globalist operative David Gregory. According to Breitbart, Wilkinson has “represented” four of Clinton’s aides during the course of her attempt to evade justice. Why are we not surprised?